I was hired to create a logo and brand identity system to portray the royal treatment Epic Music Entertainment creates for their clients. EME is a Bay Area DJ+Lighting company specializing in weddings, large scale parties, and corporate events. Since the company is known for their beautiful lighting arrangements, I used three abstract spotlight rays to graphically create a royal crown silhouette. 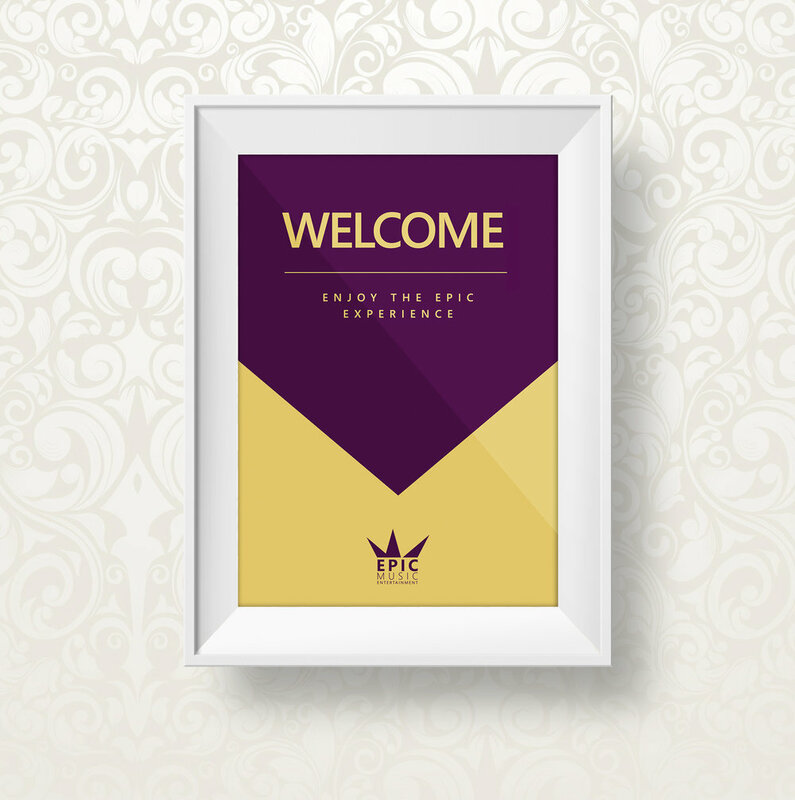 The bold color palette and elegant layouts support the royalty theme in a modern way. The client was pleased with their new brand image and proudly showcased it on social media, t-shirts, and vehicles. Their business continues to thrive as they provide excellent service behind their elegant logo which is gaining brand equity.